In the face of funding and efficiency cuts to community pharmacy, the role of the sector is coming under increasing pressure. The importance of outcomes evidence (particularly health economic evidence) is being brought sharply into focus. The profession must come together to produce the evidence needed to justify the services provided by community pharmacy and to support its future development. This article uses the Community Pharmacy Future (CPF) project, and the services developed and evaluated by its team, to illustrate the importance of working together to produce robust outcomes evidence. The rationale for how the project was developed and a summary of the evidence will be explored, alongside how the CPF team has been successful in its ways of working, engagement, delivery and outcomes. The outcomes described in this article are a call to action to the sector and the profession to work together and generate the evidence needed to guide the changing role of community pharmacy. Keywords: Community Pharmacy Future, five year forward view, long-term conditions, innovation, outcomes evidence service. Original submitted: 11 November 2016; Revised submitted: 18 January 2017; Accepted for publication: 8 February 2017; Published online: 4 April 2017. The Community Pharmacy Future project was set up in 2011 to provide robust evidence for commissioners and policy makers to make informed decisions about how community pharmacy could contribute to patient care. The project consisted of two phases, the first of which aimed to tackle two important health areas through the delivery and evaluation of three separate services: chronic obstructive pulmonary disease (COPD) case finding, a COPD support service, and support for patients on four or more medicines. In response to increasing demand on health resources and a government that seems unable to afford the continual beyond-inflation cost increases within the health service, the NHS in England produced the ‘Five year forward view’ to provide a vision for the future of healthcare provision in England. This document, published on 22 October 2014, recognises the need for greater focus on prevention and public health in supporting patients with long-term conditions (LTCs), and in delivering new models of care. Like the rest of the healthcare system, general practice is facing increasing and unprecedented pressures. There is a significant and growing gap between the demand placed on it and its capacity. These pressures are not limited to one area; general practice is trying to cope with an unsustainable workload, a workforce crisis and inadequate resources,. As a result, the number of patients finding it difficult to get an appointment to see a GP at their surgery has risen. A recent survey of 850,000 people by Ipsos MORI’s Social Research Institute shows this to be true for 30% of those surveyed, and 15% were unable to get an appointment the last time they tried. Research based on 2012/2013 data found that 5.8 million patients attended A&E or walk-in centres because they were unable to get an appointment at a convenient time with their GP. A quarter of patients state that GP opening hours are not convenient, and 61% ed a NHS service outside normal working hours. Data from the National Audit Office indicates that 27% of GP appointments are potentially avoidable, and include patients who could have been seen by another member of practice staff, including a pharmacist. These increasing demands on healthcare resources have resulted in the NHS looking to re-engineer the way it delivers care by trialling new delivery and financial reimbursement models,, focused on keeping patients away from costly secondary, acute care wherever possible and moving care into the community. We believe that community pharmacy needs to be part of this transition, and this was called for in the ‘Community pharmacy forward view’ published in August 2016 by Pharmacy Voice and the Pharmaceutical Services Negotiating Committee (PSNC). England has a well-established network of 11,674 community pharmacies, which supply one billion prescribed medicine items a year. Each time a pharmacist dispenses a prescription is a valuable opportunity to discuss care with a patient, carer or other healthcare professional to promote enhancement or improvement. The healthcare needs of the nation are also changing because of the ageing population and increasing co-morbidity of LTCs. More than 15 million people in England are currently living with one or more LTC, such as diabetes or asthma, and, for the majority, medicines represent the first line of their treatment. Patients with LTCs account for around 70% of overall health and care spending. This means that 30% of the population account for 70% of the total spend and are, therefore, disproportionately higher users of healthcare services and medicines than the rest of the population. However, most patients only spend four hours a year in the presence of healthcare professionals. Both Monitor (now NHS Improvement, which acts to support foundation trusts and NHS trusts to give patients consistently safe, high quality, compassionate care within local health systems that are financially sustainable) and NHS England have estimated that this growing demand in patient needs could exceed current NHS resources by £30bn a year by 2020/2021. The NHS has recognised this mismatch in funding for a number of years, and has examined ways of delivering savings; including improvements to quality and productivity, innovation and prevention. In 2011, the National Audit Office produced a report for the House of Commons Health Committee setting out how the NHS planned to deliver efficiency savings of up to £20bn by 2014/2015. Many of these savings have been planned to come from the transformation of how and where care is provided. Modern technology and communications can enable care to be delivered much closer to home today than at any time in the past. However, central to this transformation involves the movement of care out of acute settings and into the community, without placing more pressure on general practice. The established network of community pharmacies places a healthcare professional in every community. Moving clinical services directly from acute care to community pharmacy (e.g. through pharmacy-led minor ailments services,) or moving care away from general practice (e.g. point-of-care testing and management of LTCs) to release capacity back into the system may represent steps that can be taken to facilitate the transformation required. There is a need, in the event of limited resources, to commission services that deliver value and are in line with all parts of the NHS: community pharmacy is being asked to deliver more services without any increase in funding. The community pharmacy network has been recognised for its efficiencies,. For example, cost-effective purchasing of generic medicines by pharmacies has saved £1.8bn for the NHS over a three-year period and payments for dispensing have not grown to match the rate of increase in dispensing work. The value placed on pure medicine supply by the NHS is diminishing, with focus moving towards efficiency savings and clinical service provision. In October 2016, the Department of Health (DH) issued the final plans for reducing funding for community pharmacy services (equivalent to 12.1% for the remainder of 2016/2017) almost a year after first announcing these proposals. These announcements have been met with concern from the sector and members of parliament; many feel that they will work against the advances the profession has made in providing efficient and effective pharmacy services,,. Community pharmacy already delivers great value clinical care for the NHS with just 12 of the services provided by the community pharmacy network in 2015, such as providing emergency hormonal contraception, delivering prescriptions, managing drug shortages, treating minor ailments and managing supervised consumption. This contributes £3bn a year in value to patients, the NHS, the public sector and wider society, with an additional £1.9bn expected over the next 20 years. This offsets the £2.8bn paid to community pharmacy by the NHS in 2015 (to deliver all essential and advanced services including dispensing), and provides value for money to the DH. While the role of community pharmacists as healthcare professionals is being increasingly recognised, more can be done to support patients and the NHS, delivering services that help to keep people healthy and stay independent, thereby improving public health and reducing the burden on GPs and secondary care. The NHS needs to be able to make informed decisions on new service commissioning and areas of disinvestment to achieve financial savings. Robust health economic and outcomes evidence are key to this process, with National Institute for Health and Care Excellence appraisals based on such information. Within community pharmacy, we need to robustly demonstrate that services deliver savings for the NHS to have a strong argument for service adoption. The national commissioning of flu vaccination services across England is an example of where evidence has been used to support commissioning decisions. While evidence exists to support some services,,,,,,,,,, evidence is lacking for others,. In addition, health economic research within community pharmacy practice has been limited to date. Nevertheless, just because the evidence is not published, does not mean that community pharmacy services are not effective or efficient; instead, it highlights the need for more robust economic evaluation in the pharmacy sector. In response to this challenging situation, during 2011, the four largest multiple pharmacy chains in the UK (Boots UK, LloydsPharmacy, Rowlands Pharmacy and Well) worked collaboratively with the PSNC, the British Medical Association, Pharmacy Voice, Community Pharmacy West Yorkshire and lead medical consultants in each specialty chosen from within the NHS and the DH to develop, implement and evaluate new community pharmacy services. The overall project was called ‘Community Pharmacy Future’ (CPF), and was set up with the remit to provide robust evidence that could be used by commissioners and policymakers to enable them to make fully informed decisions about the contribution community pharmacy could make to patient care. While the work was led by the four multiples, the services were implemented in a range of pharmacies, which included independents and supermarkets. Independent academic partners (based at the University of East Anglia) were appointed to support the analysis and publication of the health economic evaluation. This article uses the CPF model as an example of how the profession has worked together to develop evidence-based services that improve patient outcomes and deliver value for the NHS, as well as discussing what was learnt during this process. The sources selected for this report represent examples of where evidence can be collected to support new roles for community pharmacy. They relate to the CPF project of evaluations and the recent department of health announcements on the contract changes for community pharmacy. They highlight the need for evidence in the context of the changing role of the community pharmacy sector. The CPF project consisted of two phases, the first of which aimed to tackle two important health areas through the delivery and evaluation of three separate services: chronic obstructive pulmonary disease (COPD) case finding, a COPD support service, and support for patients on four or more medicines (FOMM) (see Table 1),. The decision to focus on these services was informed by considering which health areas are particularly costly to the NHS and which conditions are heavily reliant on medicines. The conditions were also NHS priorities and the services designed were considered to have the greatest opportunity to impact on unplanned hospitalisations and patient quality of life, on which data were collected to enable evaluation of these outcomes. Services were designed collaboratively alongside clinical experts within the DH and NHS to enable them to be based on key NHS national and local priorities, and the latest clinical evidence base. Evaluation was conceptualised with the design of the service from the start to ensure robust capture of outcomes. Practical considerations around what could be delivered within the community pharmacy environment were also taken into account, as well as how the service could deliver joined-up care alongside that already provided by GPs and nurses. One pharmacist from each pharmacy attended a one-day training course, after which they were then responsible for cascading the educational information to remaining colleagues. All pharmacy staff involved in service delivery were provided with distance learning materials for pre-reading, which were later discussed on the training day. Completion of the training day was self-declared. All three services were piloted in the North West of England across a variety of community pharmacy locations during 2012. Pharmacy staff engaged with local GP surgeries before the services began to make them aware of the service should they wish to refer any patients to it and that they may receive referrals from the service to support seamless care, and to facilitate effective local communication. The CPF project extended to a second phase in 2015, which examined pharmaceutical care plans (the pharmacy care plan [PCP] service), in order to bring a person-centred service to patients over the age of 50 years prescribed more than one medicine, including at least one for cardiovascular disease or diabetes. The service was conceived and delivered as part of a collaborative approach across the professional elements of community pharmacy providers, academia and NHS commissioners, to test and evaluate the role of community pharmacy. The PCP service captures many elements of services pharmacists can already provide, but these were brought together around the patient’s individual needs and goals. The service utilises the concept of patient activation to create a personalised service. The level of patient activation, measured by the patient activation measure (PAM), describes the knowledge, skills and confidence a person has in managing their own health and healthcare,. This concept is used to ensure that the patient is engaged at their particular level of activation. By creating this personalised approach, patients are helped to improve their own level of activation or their ability to self-manage their health. Pharmacists held in-depth consultations with their patients, and used both general and condition-specific assessments to understand patients’ health goals and to set realistic actions to work towards achieving them. Levels of adherence (Morisky MMAS-8 metric), quality of life (EQ5D-5L metric) and levels of activation (PAM) were taken into consideration when creating a personalised care plan with each patient,. This support helped patients to understand their conditions and get the best from their medicines and devices. Ongoing support was provided at regular intervals in conjunction with the monthly supply of a patient’s medicines over 12 months. As well as condition-specific assessments, each patient had age-related support (e.g. falls risk assessment), access to public health services, and signposting to local healthcare professionals and patient support groups, as appropriate. The clinical outcomes from the first phase of the CPF project have previously been published in full; a summary is provided in Table 2,.
statistically significant increase in patient quality of life. The CPF services have been successful in raising awareness around the role of the community pharmacist, and informing service delivery within one of the new models of care. The services have won awards and have also been finalists or runners up for a number of others,,,. These awards recognise the achievements of the local pharmacy teams in delivering these services in a collaborative way. Focus groups with pharmacists delivering the service and feedback from the project teams over the last three years have helped identify some key lessons from the CPF project (see Table 3). First, the lack of an integrated IT system with other healthcare professionals is a barrier to full integration. Access to the summary care record will help in the future, but only full read-and-write privileges in community pharmacy, and more integrated communication systems with GPs and hospitals, will enable the benefits of such services to be maximised. Pharmacists being able to write to patient records could reduce GP workload and allow updating of quality and outcome framework points from activity undertaken within community pharmacy. Within the CPF services, no established equitable funding arrangements meant that other funded services and work often took precedence. Funding models that align this work with that of general practice could help support joint priorities around patient-centred and seamless care. Establishing potential pathways within existing models of care could also facilitate integration; formalising referral pathways from general practice to community pharmacy to ensure that those who need the service are able to benefit from it, while also preventing duplication, and reducing the burden on GPs (facilitated through shared care records). Finally, engagement with local stakeholders (e.g. the local pharmaceutical committee, the clinical commissioning group [CCG] and local medical council) is key to ensuring good uptake on the ground and local support. The evidence also supported the PSNC ‘Pharmacy 5 point forward plan’, published in September 2015, that outlines the services it wanted the NHS to commission through the national community pharmacy contractual framework for England. Two of the five points focus on supporting patients with LTCs, especially COPD and older patients taking multiple medicines, which are based on the results from the first phase of the CPF project. The PCP service (CPF phase II) has now concluded, having been delivered successfully across 42 pharmacies in Yorkshire and having recruited more than 700 patients. The 12-month data are currently being analysed to evaluate the clinical effectiveness of the service and the economic feasibility. In addition, information is being collected to improve the understanding of the barriers and enablers of implementing and evaluating such a service at pace to inform the future development of similar services. CPF has enabled community pharmacy (large number of outlets within four large multiples, as well as some supermarket and independent community pharmacies) to work together as a profession, across service providers, academia, and NHS commissioners, to develop, deliver and evaluate services that appear to improve patient outcomes and deliver efficiencies for the NHS. The outcomes have been produced in a timely yet robust manner, and may provide health-economic evidence to support community pharmacy practice in the future. If all three of the CPF phase one services were implemented across community pharmacies,,, the extrapolated results indicate that they could deliver substantial benefits for patients and the NHS. Based on the findings from the COPD case finding service, we estimate that if the service was to be delivered from 11,100 pharmacies in England to 555,000 patients, then the NHS could see benefits of lifetime savings from stopping smoking of £214.7m, 96,000 life years and 46,000 quality-adjusted life years (QALYs), and annual benefits of £264.5m (from diagnosing patients earlier and reducing productivity costs). If the COPD management support service was delivered from 11,100 pharmacies in England to 749,000 patients then the results indicate that there could be the potential for the NHS to see annual benefits of £125.8m in reduced use of NHS and social services resources. In addition, this could also result in £4.5m savings in societal costs and £9m from an additional 180,000 people with COPD receiving flu vaccinations. The lifetime value of supporting people to stop smoking could equate to £86.3m disease-related cost savings, or 15,000 QALYs. The extrapolated findings from the FOMM service also indicate similar estimated value if delivered from 11,100 pharmacies in England to 954,600 patients. The NHS could see annual benefits of £35.57m in reduced medicines costs and hospital admissions as a result of STOPP/START recommendations; £33.87m in reduced hospital costs owing to a reduction in falls that result in fractures and 17,200 QALYs. While the CPF work is limited by consisting of ‘before and after’ studies (with no control groups for comparison), it does provide evidence that community pharmacists are willing to take on extended roles that add value to the core medicines supply function they provide. 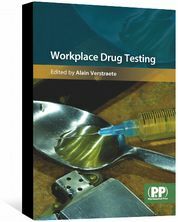 The use of validated tools incorporated as part of the services supports the feasibility of conducting practical studies as part of normal pharmacy practice. Community pharmacists have a well-established and widely recognised role in supplying medicines (dispensing of prescriptions and supporting self-care) and clinical services. Regular interactions with patients and carers when they enter the pharmacy for advice, or to collect their medicines, offer unique opportunities to support the best use of medicines. The supply of medicines must not be seen as an end in itself; it is the starting point for an ongoing relationship that offers a proven, cost-effective means of helping patients get the best outcomes from their medicines, as well as supporting interventions that help them achieve their overall health goals. Patients value being able to turn up and seek advice on medicines and health-related issues from a community pharmacist without an appointment. Pharmacists can offer advice and reassurance and, where it is clinically indicated, they can also supply medicines or other products to treat the condition or relieve symptoms without having to make an onward referral. This speeds up the service to patients. Treatments can range from general sales list and pharmacy products to relieve symptoms, to prescription-only medicines that can be supplied against NHS prescriptions written by GPs or other independent prescribers, or through agreed patient group directions. In addition, patients are able to choose the community pharmacy they access, which can vary depending on their needs and location, without the need for formal registration; such as one in a city centre, retail destination or holiday resort. They do not have to adhere to administrative boundaries that they may be wholly unaware of (such as GP catchment areas or CCG locations, which can restrict practice-based staff), but can access community pharmacy at a place and time that is convenient for them, minimising their use of personal time and expense. Multiple interactions with patients give pharmacists the opportunity to pick up on any additional issues that patients may have with their medicines (or condition) that are impacting on the overall management of their condition. These issues can be identified by the pharmacist through the dispensing process or be raised by the patient. Formalised appointments have been recognised for the tendency of patients to present themselves to a healthcare professional in a better, exaggerated, light. Regular, informal interactions may offer the opportunity for patients to be more honest. These types of interactions were seen as a key component in all CPF services supporting patients with LTCs (COPD, FOMM and PCP). This continuing patient relationship is the bedrock for cost-effective clinical interactions relating to medicines and brief interventions that support the maintenance of a healthy lifestyle. Health services need to ensure that people living with LTCs are engaged with the management of their own health and well-being; and public services will need to be configured in a way in which people and professionals work in partnership to make the most effective use of available resources. The variation and complexity in patient needs, and the scarce resources available, mean that any services delivered on behalf of the NHS need to be clinically effective, safe, deliver a positive patient experience, and be cost effective. Community pharmacists are able to deliver quality healthcare services that are person-centred (as demonstrated by the number of patients recruited as part of the PCP service). Professional responsibilities of a pharmacist centre on ensuring the safe supply of medicines, as well as supporting the optimal use of medicines by patients,. The safe sale and dispensing of medicines are also core expectations of other healthcare professionals, government and the community. These expectations will take on growing importance given the increased number of professionals permitted to prescribe medicines. One healthcare professional — most logically the community pharmacist — will need to play a coordinating role to ensure that the increasing number of prescribers does not lead to an increase in adverse medicine events. Data from 5,198 pharmacies across England suggest that pharmacists query 7 in every 1,000 prescription items (equating to almost 6.6 million items each year). Around 5%–10% of prescription items were considered by the pharmacists to have issues rated as ‘moderate’ or ‘severe’, meaning that these prescriptions could have resulted in severe harm to the patient or even death if they had not been queried and resolved by a pharmacist. These data show the importance of information transfer between prescriber, patient and pharmacist to ensure the effective and safe use of medicines. Interventions that include tools like STOPP/START (used within FOMM and PCP) enable the pharmacist to identify medicines that are inappropriate, or not based on latest practice guidance. Integrating services across healthcare professionals is key, and this will be improved by access to patient summary care records. 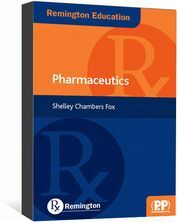 Community pharmacists have access to patients’ dispensing records so that they are able to review the patients’ prescription usage history within that pharmacy to understand whether there are any adherence issues, and likely contraindications that would affect over-the-counter medicines use, or advice they should give. If necessary, pharmacists can alert GPs to any issues or changes required, although more could be done to formalise these communications. In the authors’ experience, access to dispensing records and timely and efficient communication between the GP and pharmacist help to increase patient safety. Combining clinical interactions with the supply of related products allows for easier reconciliation of patient records when changes are made, frequent monitoring of responses to treatment (as well as the identification of side effects or interactions) and tailored support for patients to help them achieve their own health goals, as well as facilitating integration of healthcare professionals. In April 2016, NHS England announced a clinical services review, chaired by Richard Murray, to examine the evidence base and value of services commissioned by NHS England, identify barriers that prevent utilisation of community pharmacy services, and make recommendations for commissioning models that ‘integrate and transform the clinical contribution of community pharmacy’. While there is recognition of the extended role of community pharmacists, the announcements of cuts to funding and the uncertainty that this generates within the profession could limit, or even undo, the advances already achieved within recent years. There is a risk that the focus on immediate cuts to funding restricts the future vision and role that pharmacy can play for the increasing population of patients with co-morbidities. Relying wholly on the academic field to create the evidence to drive pharmacy forward will not address the fast-paced and immediate needs of the healthcare system. We need collaboration across all sectors (service delivery, academia and NHS payers) to support the development of new services. Research needs to be practical, timely and relevant, providing the health-economic basis for commissioning decisions, meeting the needs of patients and the NHS. The CPF project was formed in response to this environment; to enable the profession to work together to identify opportunities for the future and collect robust outcomes evidence to support commissioning decisions. There has been recent focus on the topic of person-centred care within the NHS and the concept of patients being involved in active decision making has come to the forefront. Undertaking the CPF project has resulted in a greater understanding of the barriers and enablers of this collaborative working approach and in the design and delivery of innovative new services in community pharmacy. The limitations that currently prohibit the sector fully realising its potential are not new; better methods of integrated working and appropriate IT systems are both areas that require focus and have been identified by the NHS in the ‘Five year forward view’ and its digital agenda,. A fully integrated service delivered by community pharmacy would require remuneration linked to joint targets with general practice and established pathways of referral, both into and out of the service. Community pharmacy cannot maintain the status quo; different ways of working are needed to support the NHS agenda in delivering value for money for taxpayers. This provides real opportunity for the community pharmacist to extend their role in supporting patients with their healthcare needs. Through robust service evaluations, CPF services have been successful in their ways of working, engagement, delivery and outcomes. The challenge going forward will be how we continue to work collaboratively across the profession to produce the health-economic evidence required in times of financial austerity – focusing on the future role of community pharmacy in a climate of efficiency and funding cuts. We need to work differently within this NHS environment, demonstrating innovation, outcomes and efficiency on a wider scale. The authors believe that with the NHS facing so many challenges, now is not the time to sit and debate but to take clear action. Funding and aspects of regulation need to change to enable the profession to evolve towards a more clinical future, and robust outcomes evidence will help support this. The Community Pharmacy Future team and University of East Anglia would like to thank the community pharmacists and patients who participated in the service and evaluation. Tracey Thornley manages the CPF outcome work stream on behalf of the CPF project team. David Wright was remunerated by the CPF team to manage the academic evaluation of the CPF services. David Wright was not remunerated for this paper. The design and implementation of phase I and phase II of the CPF projects were funded by the CPF group, with support from an educational grant from Pfizer Inc.
 Pumtong S, Boardman HF & Anderson CW. A multi-method evaluation of the Pharmacy First minor ailments scheme. 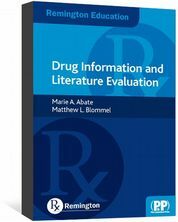 Int J Clin Pharm 2011;33(3):573–581. Thornley T, Marshall G, Howard P et al. A feasibility service evaluation of screening and treatment of group A streptococcal pharyngitis in community pharmacies. J Antimicrob Chemother 2016;71:3293–3299. Kirkdale CL, Nebout G, Megerlin F et al. Benefits of pharmacist-led flu vaccination services in community pharmacy. Ann Pharm Fr. 2017;75:3–8. Twigg MJ, Wright D, Barton GR et al. The four or more medicines (FOMM) support service: results from an evaluation of a new community pharmacy service aimed at over-65s. Int J Pharm Pract 2015;23(6):407–414. Brown TJ, Todd A, O’Malley CL et al. Community pharmacy interventions for public health priorities: a systematic review of community pharmacy-delivered smoking, alcohol and weight management interventions. Public Health Res. 2016;4(2). Wang Y, Yeo QQ & Ko Y. Economic evaluations of pharmacist-managed services in people with diabetes mellitus: a systematic review. Diabet Med 2016;33(4):421–427. Martinez FJ, Raczek AE, Seifer FD et al. Development and initial validation of a self-scored COPD Population Screener Questionnaire (COPD-PS). COPD 2008;5(2):85–95. Stahl E, Lindberg A, Jansson SA et al. Health-related quality of life is related to COPD disease severity. Health Qual Life Outcomes 2005;3:56. 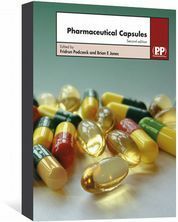 Rollason V & Vogt N. Reduction of polypharmacy in the elderly: a systematic review of the role of the pharmacist. Drugs Aging 2003;20(11):817–832. O’Mahony D, Gallagher P, Ryan C et al. STOPP & START criteria: a new approach to detecting potentially inappropriate prescribing in old age. Eur Geriatr Med 2010;1(1):45–51. Morisky DE, Ang A, Krousel-Wood M et al. Predictive validity of a medication adherence measure in an outpatient setting. J Clin Hypertens (Greenwich) 2008;10(5):348–354. Hibbard JH, Stockard J, Mahoney ER et al. Development of the Patient Activation Measure (PAM): conceptualizing and measuring activation in patients and consumers. Health Serv Res 2004;39(4 Pt 1):1005–1026. Community Pharmacy Future project estimated to save £470m if rolled out across England. 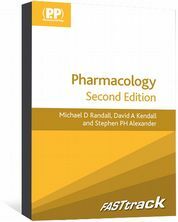 Pharm J 2014;292(7800):250. O’Dowd A. Respiratory medicine team of the year. BMJ 2014;348:g2941. Twigg M, Wright D, Kirkdale CL et al. The UK Pharmacy Care Plan service: description, recruitment and initial views on a new community pharmacy intervention. PLoS One. In press. Palmieri JJ & Stern TA. Lies in the doctor-patient relationship. Prim Care Companion J Clin Psychiatry 2009;11(4):163–168.